The beach with only 6 hours of sunshine per day! 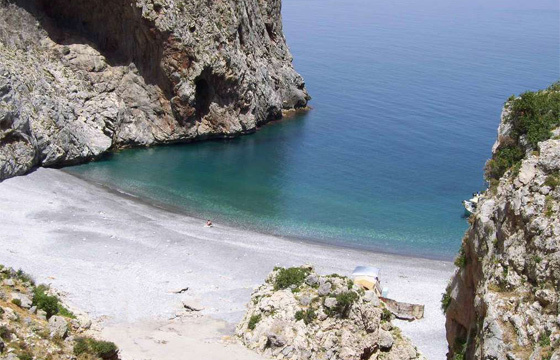 Surrounded by two huge imposing rocky cliffs, the Vithouri beach could very well be the beach of a virgin island due to its wild beauty, its turquoise waters and its amazing morphology. This small secluded beach creates the illusion of swimming in a canal. Because of the very high rocky cliffs on both sides of Vithouri, the sunshine hours are limited to only six per day during the summer. So, visitors may enjoy a refreshing swim in the shade of the rocks!